When it comes to February, some people get excited about Valentine’s Day. Not me (and that’s not just because I’m a bitter cat lady.) No – I save my excitement for a special day in February that is far more important. 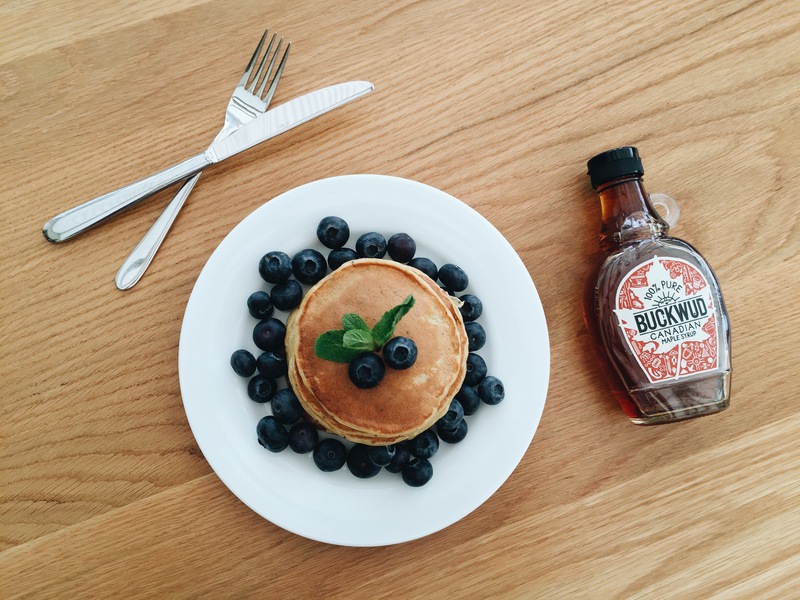 Grab the maple syrup because it’s nearly Pancake Day. 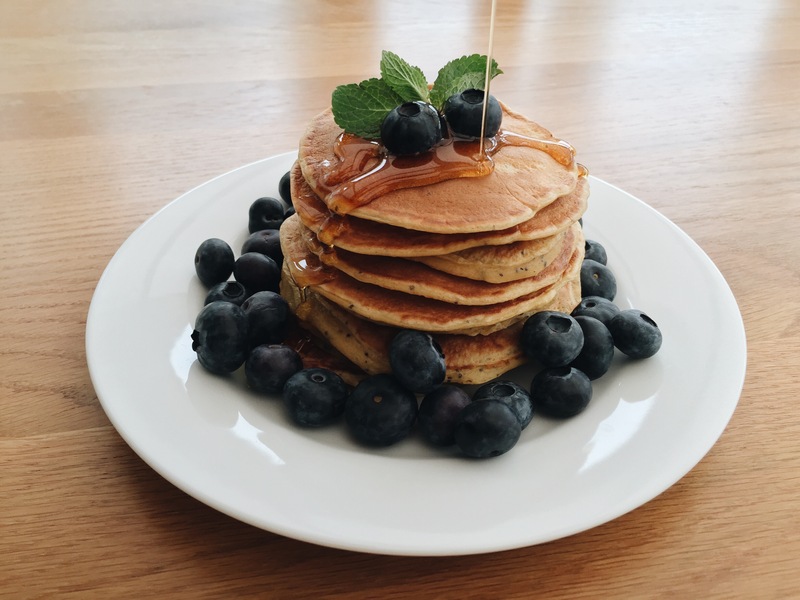 Don’t get me wrong, I think pancakes are great, regardless of when they’re eaten, but what better day to whip up a new recipe than on Shrove Tuesday? Last year I shared my recipe for gluten free/paleo coconut pancakes, which I would also recommend giving a try, but I have to admit I am really taken with these babies. They’re light, zingy with lemon zest, and come together with a few simple ingredients you’ve probably already got in your kitchen. If not, you still have time to stock up ready for Tuesday – pancakes are serious business, you’ve got to be prepared. You can use any yoghurt you like for these, although I will warn you, this is not the time for fat-free. You may want to leave out the sugar if using a flavoured yoghurt. Saying this, a little extra sugar isn’t going to make much of a difference once you’ve drowned them in syrup, but hey, don’t say I’m not looking out for your health. I used Coyo natural yoghurt which worked a treat, making the perfect fluffy pancakes. I cooked mine using Fry Light which stopped them from absorbing too much oil. I have cooked these in coconut oil when recipe testing in the past, but they came out quite greasy. If you don’t have Fry Light, you can wipe the pan with some oiled kitchen roll to get a similar effect. My recipe for Pancake Day; light and fluffy pancakes filled with lemon zest and poppy seeds, perfect for soaking up plenty of maple syrup. Makes 10-12 small pancakes. Combine all the ingredients into a large mixing bowl and mix until the batter is smooth. Spray a large frying pan with Fry Light (or your chosen oil) and bring up to a medium heat. Once the pan is hot, spoon small amounts of the batter into the pan to fry. I used a quarter cup measure to keep all the pancakes roughly the same size. Cook for 2-3 minutes on each side. When bubbles form in the batter, the pancakes are ready to flip. Once both sides are toasted and golden, stack them high, add your chosen toppings and pour that syrup with reckless abandon. I used Bob's Red Mill Egg Replacer for these pancakes, but you could also use chia or flax eggs, or any other vegan egg replacement product. These sound and look really nice, I love the fact this has a different taste to the usual plain pancake before toppings. I can't wait for pancake day this year. Follow Grace McGregor 's board eat, write + explore | Blog Recipes on Pinterest.